Our expansive network and expertise in personal insurance assists expatriates without the need for host country history. Our dedicated insurance agency consists of licensed, bilingual agents with diverse cultural backgrounds. Our personal insurance options are all maintained in-house which helps reduce acclimation time while saving you money. Since 1994, AIG has provided competitively priced personal insurance for foreign nationals. Homeowner’s insurance and renters coverage helps to protect your investment, as well as your family and your household possessions. Our team can assist you in designing a plan to suit your individual needs. Expatriates often find it difficult to qualify for auto insurance. 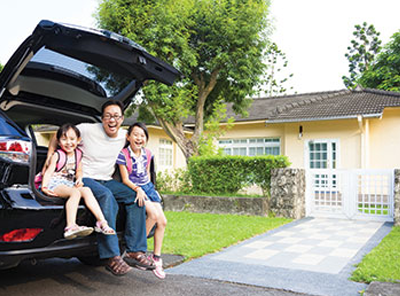 Our clients enjoy auto insurance rates commensurate to a U.S. resident with the same driving experience. With Travel Guard® relocation services, you have a friend in the global neighborhood. Automobile Insurance – Customers access competitive rates and terms through insurance companies that give credit for foreign driving records. Determining the right amount of coverage needed to rebuild your home and/or replace your valuables if they are ever damaged or stolen. Custom-designing a policy with the options and features you want and need. Determining your eligibility for special discounts for new homeowners, retirees or home security discounts; providing savings on your coverage. Why should I purchase Homeowner's/Renters insurance? Many people assume their employer, landlord or apartment owner's insurance policy will protect their personal possessions in the case of a fire, theft or other incident. They also think they'll receive assistance if they are sued in a U.S. court. This is not true. Your personal belongings while living in the U.S. will not be covered under any policy but your own. Do I have to purchase car insurance to drive my vehicle in the United States? You will need to obtain automobile insurance to register your vehicle and drive it on roads in the United States. Why is my insurance rate different than my colleagues' rate? Your gender, your age, your marital status, driving record, type of car and place of residence all contribute to an insurer's prediction of whether you'll file a claim. This determines the rate they will charge. AIG Travel, Inc., a member of American International Group, Inc., is a worldwide leader in travel insurance solutions and assistance. Travel Guard® is the marketing name for its portfolio of travel insurance solutions and travel-related services, including assistance and security services, marketed to both leisure and business travelers around the globe. Services are provided through a network of wholly owned service centers located in Asia, Europe and the Americas. For additional information, please visit our websites at www.aig.com/travel and www.aig.com/travelguard.